be quiet! 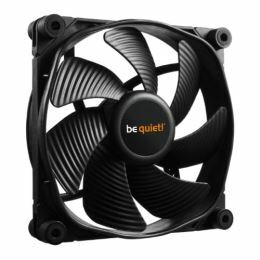 SilentWings 3 fans stand for state-of-the-art technology, virtually inaudible operation and superior cooling. Their secret: a smooth-running 6-pole fan motor, an advanced fluid-dynamic bearing, a unique airflow optimized fan blade design and a fan frame with funnel-shaped air inlets.